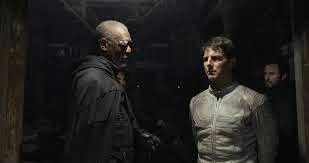 Oblivion stars Tom Cruise, Morgan Freeman, Olga Kurylenko, Andrea Riseborough, Nikolaj Coster-Waldau and Melissa Leo and is written, directed and produced by Joseph Kosinski. It was released on April 19, 2013 with a running time of 124 minutes. It is an adaptation of Kosinki's original graphic novel he developed for Radical Comics bearing the same title - Oblivion. Earth is now destroyed. It was attacked by aliens and the humans retaliated with nuclear means causing massive destruction and chaos. The last remaining group of people are abandoning Earth and trying to settle in to one of Saturn's moons Titan. 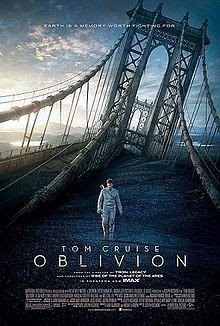 Jack Harper (Tom Cruise) and Victoria Olsen (Andrea Riseborough) are two of the few humans remaining on Earth whose task is to keep watch over a colossal fusion energy generator that is powering the Titan colonist, against the supposed to be saboteurs known as "Scavs", the few remaining aliens that attacked Earth. But Jack Harper will soon find out that everything is not what they seem to be. The Scavs are really the few humans that are alive on Earth waging war against the supposed to be humans at Titan that is in reality are really the true aliens that destroyed the Earth. I hope you got that. Independence Day stars Will Smith, Jeff Goldblum, Bill Pullman and Randy Quaid among others, and directed and co-written by disaster film expert Roland Emmerich and written and produced by Dean Devlin. Originally due to be released on July 3, 1996, but was moved one day back due to hype, it has a running time of 145 minutes in total. Although not an adaptation of any kind, it is albeit a spiritual successor to Stargate. Also, expect a sequel in June 24, 2016. 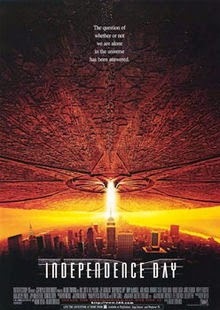 In July 2, an extraterrestrial threat has landed on Earth, and for no good reason, has ravaged every historical landmark. The story focuses on four individuals who, along with many others, have come together to save our planet. Capt. Steven Hiller (Will Smith) is a hot-shot pilot and family man, who has a dream of becoming an astronaut. David Levinson (Jeff Goldblum) is a scientist who discovered mysterious signals in space. Pres. Thomas J. Whitmore (Bill Pullman) is the President of the United States who must unite the citizens in their revolution. Russell Casse (Randy Quaid) is a paranoid crop duster who has a very nasty attitude towards the aliens, simply because according to him the aliens has abducted and experimented on him. Together, they must stop the aliens from destroying and annihilating the entire human race and restore peace. With a little inspiration from his father, David found out that the only way to stop aliens is to infect their enemies' computer systems with a virus. Of course, as you might have guessed it, a bomb is required. Since there was a lack of fighters, Russell and Pres. Whitmore volunteered to join in while Capt. Hiller and David hitched a ride to the mothership using an alien spaceship that has crush-landed on earth before in order to successfully input a virus onboard the alien mothership and activate the virus. After several explosions and Russell's heroic sacrifice, the mothership explodes, but not before Capt. Hiller and David make it out, just in time to light their celebratory cigars. 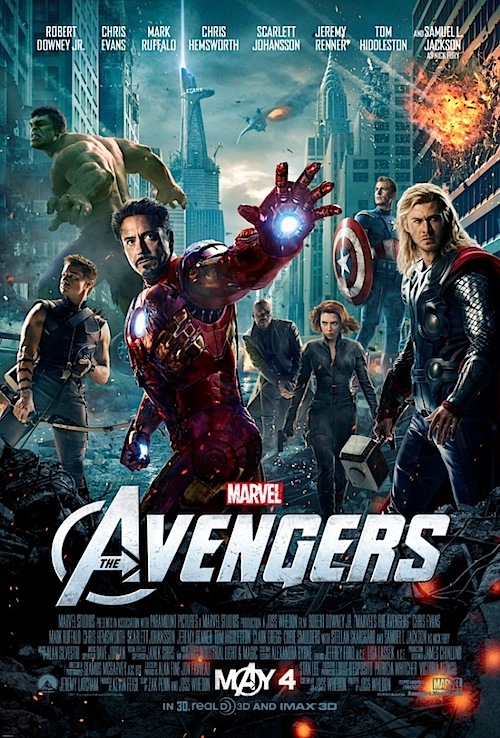 The Avengers united Earth's Mightiest Heroes with Robert Downey Jr., Chris Evans, Chris Hemsworth, Scarlett Johansson, Mark Ruffalo, Jeremy Renner, Tom Hiddleston and Samuel L. Jackson reprising their already familiar roles. Released on May 4, 2012, this film was written and directed by Joss Whedon with a running time of 143 minutes. Its sequel is in theaters now, with its future installments coming soon. The Asgardian God of Mischief Loki (Tom Hiddleston) has returned, and he has declared war on Earth. 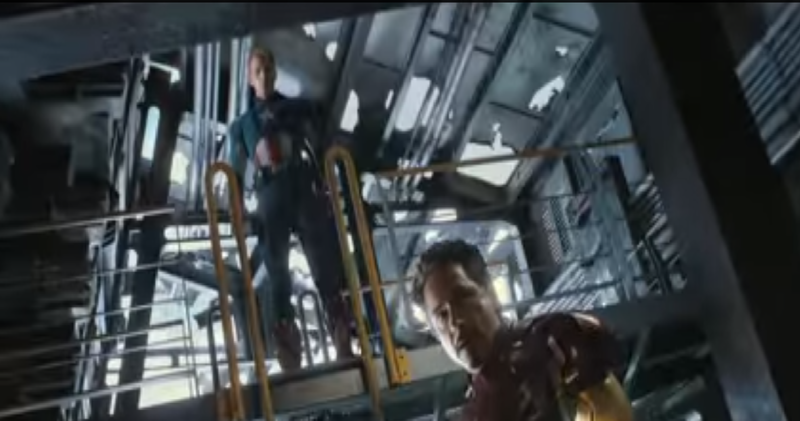 To save the world, Nick Fury (Samuel L. Jackson) bands together the Avengers, with Iron Man (Robert Downey Jr.), Thor (Chris Hemsworth), Captain America (Chris Evans), the Hulk (Mark Ruffalo), Black Widow (Scarlett Johansson) and Hawkeye (Jeremy Renner) to apprehend Loki. When the World Security Council lost their patience in the heroes, they ordered a nuclear strike in the city of New York. 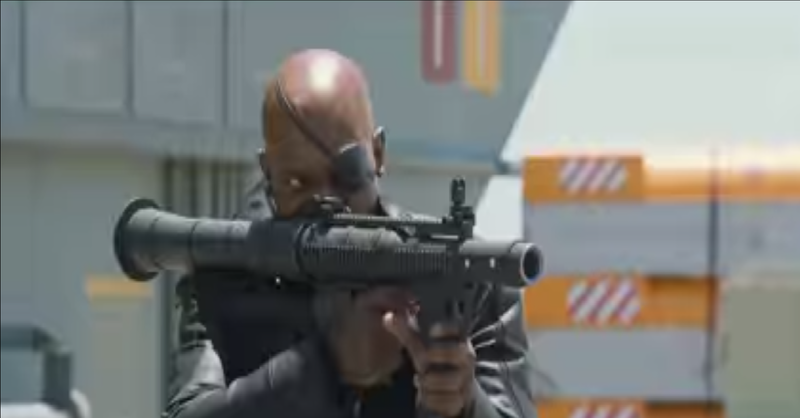 Nick Fury failed to stop the launch, so he warned Iron Man of the incoming missile. 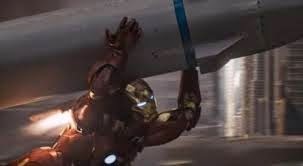 Seeing only one option, Iron Man carried the nuke into the portal, with some help from the Black Widow. The devastating blast from the nuclear missile resulted in the shut-down of the invading Chitauri's portal and thereby stopping them from invading the Earth. Almost dying, the Hulk's loud roar brought him back to life and requested the team to eat some Shawarma after taking Loki in. 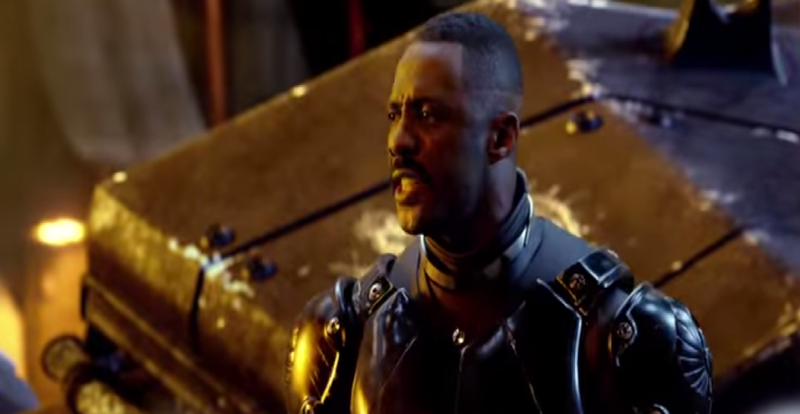 This sci-fi action film stars Charlie Hunnam, Idris Elba, Rinko Kikuchi, Charlie Day, Max Martini, Robert Kazinsky, Burn Gorman and Ron Perlman, and aided by the direction of Guillermo Del Toro and a story by Travis Beacham. Released in July 12, 2013, it has a running time of 131 minutes. Also, a sequel is coming late this year, and their third film coming soon. 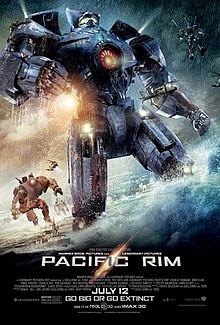 When Earth has been overrun by Godzilla look-alikes known as "Kaiju" who somehow has uncovered a secret portal the makes it possible for them to send alien monster giants, the human race also decided to go big or go extinct by building their own versions of Gundam-style suits called the "Jaegars". Raleigh Becket (Charlie Hunnam) who goes to early retirement after an unfortunately incident while being the pilot of the Gypsy Danger until Marshall Stacker Pentecost (Idris Elba) called him back to action, while allying with Mako Mori (Rinko Kikuchi), a mysterious pilot. Making once again yet another bomb, Raleigh's crew journeys to the Arctic to fight a few Kaiju. They used a dead Kaiju body to enter the portal since the only way to enter it was to have Kaiju DNA. Upon entering, Gypsy Danger suddenly ran out of batteries and Raleigh and Mako decided to escape, and leaving nuclear-powered machine to explode. They await at the ocean to be rescued. Imagine, travelling all the way from far, far away galaxies, sending numerous fleets of fighters and soldiers, just to be beaten by one missile. Guess they must have miscalculated Earthings after all. Well, I guess that's a wrap for our "explosive" countdown. Coming soon in Dateline Movies are more Spotted! posts, more reviews and more of Dateline Movies Presents. Asta La Vista!! !